Peter William Jensen, age 68, of Hutchinson, Minnesota passed away on Friday, March 30, 2018 at The Good Samaritan Society in Arlington, Minnesota. Peter was a life, long resident of Hutchinson. He was born on April 16, 1949 and graduated from Hutchinson High School in 1967. Survived by his son(s) Christopher Heintz-Jensen and Joe Heintz of Hutchinson; sister Sue Jensen and partner Nancy Miller of Plymouth, Minnesota; special friend Janice Heintz of Hutchinson; along with many friends and relatives. Preceded in death by his parents Nellie and Lyder Jensen. 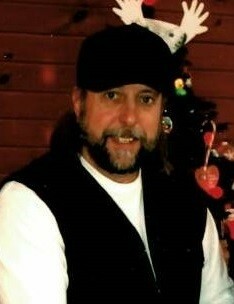 Peter's pride and joy were his sons and riding his Harley Davidson motorcycle with his buddies. A Memorial service for Peter Jensen will be held on Monday, April 9, 2018 at 11:00 A.M. at The Vineyard United Methodist Church, 1395 South Grade Road, Hutchinson, Minnesota. A visitation will be held on Monday, April 9th beginning at 10:00 a.m. AT THE CHURCH.